Erica Verrillo of Whatley has written more than half a dozen books and launched a non-profit national organization, all while being partially bedridden for the past three decades. Verillo has Myalgic Encephalomyelitis (M.E. ), a chronic and fluctuating neurological disease characterized by extreme exhaustion, muscle weakness, sensitivity to pain, confusion, forgetfulness, a weak immune system, and a lack of concentration. In 1998, Verillo co-authored a health book called, Chronic Fatigue Syndrome: A Treatment Guide, which was the only book available as a guide for people suffering from M.E. 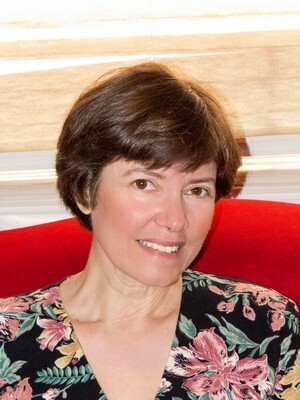 Using the knowledge she’s gained from writing the book and the more expansive second edition published in 2013, she founded the American Myalgic Encephalomyelitis and Chronic Fatigue Syndrome Society this past year. “People with M.E., we don’t have a national organization … There’s plenty of organizations that represent people who have different diseases. We don’t have one. The purpose of the organization is to provide direct aid to patients — how they can find doctors, how they can find treatments that are effective, helping them with disability forms,” she said. There are more than 3,400 research abstracts on the site, which is available for patients as well as physicians and researchers, she said. Verillo said she became sick with a mild form M.E. in 1992, which went undiagnosed.